When planning my five-year-old’s joint birthday party with her friend recently, we came across GoGo Healthy kids and booked them for twenty-five kids (aged three to seven years). Believe it or not they had all the kids running around and having fun for an entire hour-and-a-half while parents were able to sit back, chat and watch their kids participate in a super-fun and active morning. Pierre and Thierry are the founders of GoGo Healthy Kids and they are amazing with the kids. They came with all their own equipment and music, and held hands with the little three-year-olds to encourage them to join in. Their French accents had me thinking the kids were training for the World Cup, and I have to say all the mothers were paying close attention to everything this gorgeous pair were saying, and even commented we should have a training session ourselves! 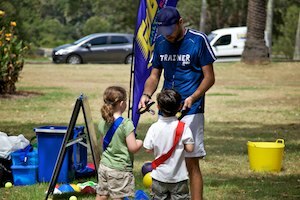 The activities included balance tricks, obstacle courses, running, ball skills and lots more. One of my favourite inclusions were the medals and trophies handed to all the kids at the end of the party. This was so much better than typical lolly bags, especially after they had been so active. All the kids loved their trophies and it’s something to keep forever. Here is a video from the party to show you a little of what GoGo Healthy Kids can do with your children at a birthday party. The cost is $20 per child for a party of up to twenty children, and they will even dish up a healthy party feast for a little extra per child. They are based in Paddington, NSW and it’s best to contact them about where they will travel to in the Sydney area. 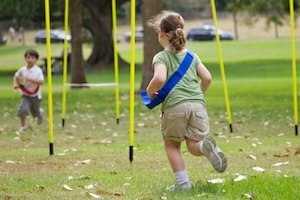 GoGo Healthy Kids also run before and after school fitness classes to help children develop skills and coordination. 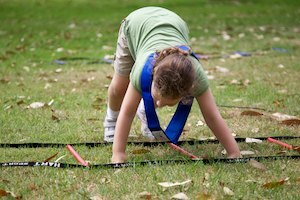 These activities include obstacle courses, cardio circuits, mini Olympics, boxing, relays and much more. These sessions run for an hour and are led by qualified trainers. The sessions are on a pay per use basis so no money is wasted if you miss a week. School holiday camps are also available so check with GoGo Healthy Kids for details for the next school holidays. The GoGo Health Club for parents is also launching soon, offering group fitness sessions for adults at a very affordable price. The classes are only $10 per session with no membership fees or expiry dates. I might have to sign up now! 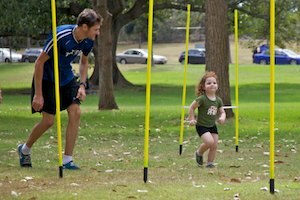 They are also doing family training and Mums and Bubs training sessions so there is really no excuse if you live in Sydney’s eastern suburbs. I can highly recommend GoGo for kids’ parties and will let you know about the adult classes very soon.